It was the week the cap didn't fit for Britvic. 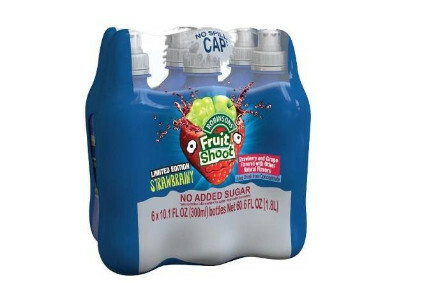 An award-winning leak-proof lid on bottles of its Robinsons Fruit Shoot and Fruit Shoot Hydro brands was supposed to mean no more school-bag spillage for the drinks' core demographic. Instead, the caps were faulty and, when the lid blew off, the soft drinks company found itself facing a GBP25m (US38.9m) profit hole, an alarming drop in share price and the prospect of some nervous investors come full-year results. It was the last thing Britvic needed, as pre-recall opinion on the UK-based firm fretted over trading-floor woes. Share price was only marginally higher than at launch in 2005, and analysts at Canaccord Genuity said the company had trouble converting profit into cash. On top of this, a soggy summer in the UK and Ireland was expected to drop Q3 figures by 1.7%, according to Investec, even though the previous year's comparison was considered soft. But when it rains, it pours. On 3 July, Britvic announced that all Robinsons Fruit Shoot and Fruit Shoot Hydro packs, which featured the new cap design, were being recalled in the UK because of a "packaging safety issue". The next day, the company estimated the cost would be “between GBP1m and GBP5m (US$7.8m) to profits before tax in the current financial year”. Britvic said the move was precautionary and, despite the recall cost, it was believed Britvic's business model was strong enough to withstand the shock. “Ultimately, this is an unfortunate and untimely issue, which may have some residual reputational impact, but which should not affect the company financially beyond the current year,” Investec said in a note. Yesterday (11 July), however, that assessment was immediately revised as Britvic admitted it had been unable to "speedily resolve" the issues around the recall. This time it said that profits would take a hit of up to GBP25m. Subsequently, Nomura downgraded its forecast for full-year 2012 by 14%, while Panmure Gordon dropped its estimates by 25%. 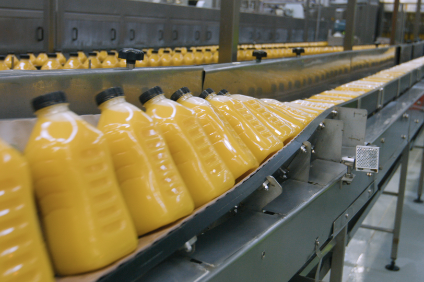 Canaccord Genuity advised Britvic to hold off on dividends instead of paying them out of debt as planned, and said management will be judged on how it handles the recall situation. One saving grace of the whole affair was that it only affected products in the UK and Ireland, even though these are Britvic's biggest markets. The company has a foothold in France but, perhaps more importantly, is rolling out a franchise business model in the US that one analyst says has the potential to "fundamentally re-base the value of the company". For the time being, however, we can look forward to Britvic's Q3 update next Thursday. That's where executives and investors can figure out where to point fingers for the mess the company now finds itself in. Perhaps they can blame this guy, six-year-old Alexander Farries. According to the Sun newspaper, the recall came after he choked on the lid of a Robinsons Fruit Shoot. Britvic wouldn't say what sparked the recall, but has offered Alexander a day trip to a theme park. “It's a bit of a cheek,” said mum Shelly. Britvic's own rollercoaster ride, meanwhile, has a distance to run yet.